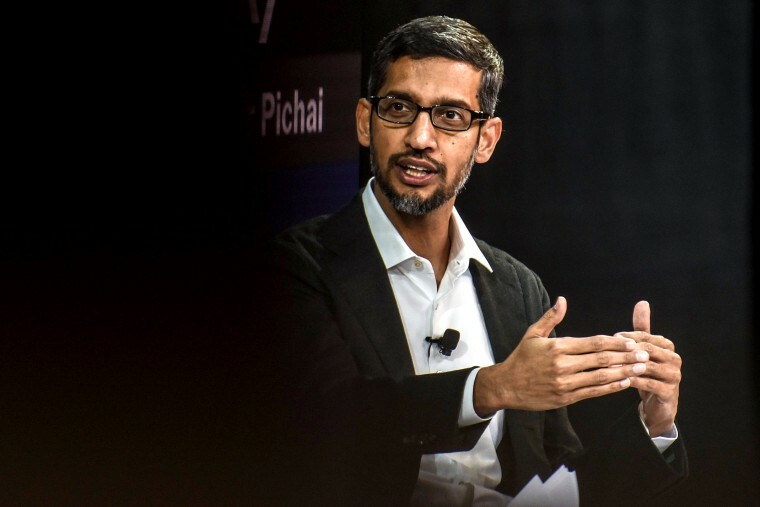 Pichai in September had agreed to testify at a future date before the panel over Republican concerns that the company is biased against conservatives. WASHINGTON — The U.S. House Judiciary Committee will hold a hearing with Google Chief Executive Sundar Pichai on the Alphabet unit's social media practices on Dec. 5, the committee said on Wednesday. Pichai in September had agreed to testify at a future date before the panel over Republican concerns that the company is biased against conservatives after it skipped a high-profile Senate hearing. Google has denied it is biased toward conservatives. Google confirmed on Wednesday that Pichai will testify. House Majority Leader Kevin McCarthy, a Republican, noted that the company accounts for nearly 90 percent of worldwide search traffic. "Its business practices may have been affected by political bias," McCarthy said. "For months, House Republicans have called for greater transparency and openness from Google.... Mr. Pichai’s scheduled appearance in front of the House Judiciary Committee is another important step to restoring public trust in Google and all the companies that shape the Internet." McCarthy also said Congress wants to review Google's potential new investments in China. Google previously told U.S. lawmakers it was considering "a variety of options" to offer additional services in China, but declined to detail plans for addressing Chinese censorship. The company has come under criticism after reports it was considering re-entering China’s search engine market and would comply with its internet censorship and surveillance policies. On Tuesday, more than 200 Google engineers, designers and managers demanded in an open letter that the company end development of a censored search engine for Chinese users, escalating earlier protests against the project. In September, a bipartisan group of 16 U.S. House lawmakers asked Google to disclose precautions it would take to protect the safety of its users if Chinese regulators allow its search engine to operate. Pichai may also face questions about why it delayed disclosing vulnerabilities with its Google+ social network. The company has received inquiries from Congress over the issue.